I’ve been using the PeakFinder app for a month or two now. 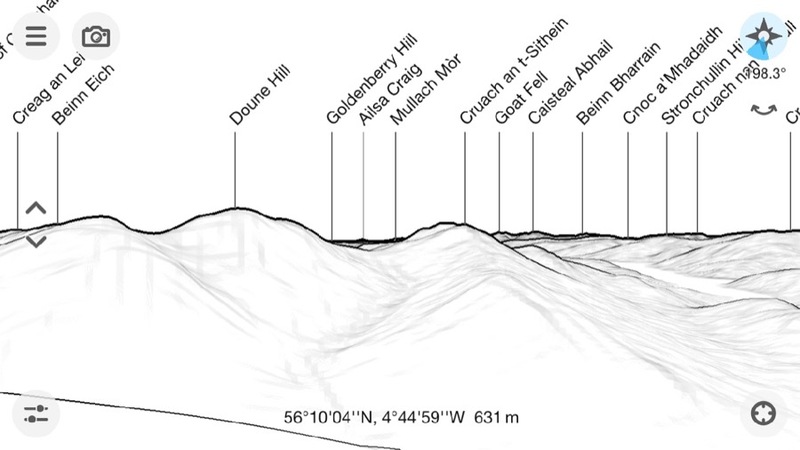 It is a nice app for showing what hills are in view. Basically it give a ‘live’ wireframe of hilsl from your location or anywhere you like. All the features are listed PeakFinder App. For a long time many of you have asked for an option to combine the image of the camera with the panorama drawing. 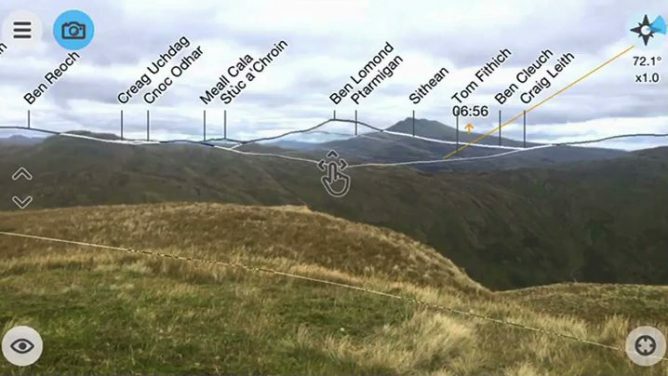 l’ve finally implemented this feature in this newest version and so PeakFinder now also supports true augmented reality. This is quite amazing, and in my tests it works a treat. I think this is the first AR I’ve seen that makes be think this could really be useful and soon. It is not much of a stretch to imagine a botany app that can recognise flowers. What is cool about peakfinder is that the data is loaded so that you do not need a connection to use the application.